BitStarz has recently closed a deal with Evolution Gaming, a popular live dealer game provider. This adds quite a bit to the online casino’s game library, which already has a lot of good games from developers. In celebration of this new addition, BitStarz holds a cashback promo from Nov. 17 to 20. Players who want to experience the fun in gambling and of live dealer games and get more bang for their buck should try out the live Evoltution Gaming games now. Called the Rolls Royce of live dealer games, Evolution Gaming has had a solid 10 years in the business. Launched back in 2006, the company has grown a lot in the past decade and has earned a solid reputation. The company operates two live dealer studios: one in Latvia and another in Malta. In Riga, Latvia, Evolution Gaming has built one of the best state-of-the-art live casino production studios in Europe. Here, the company operates more live games tables than any other land-based operators in the region. With games ranging from blackjack to roulette, Evolution Gaming can offer European players high-quality gambling experiences, with some of the most skilled dealers out there. For international players, the studios based out of Malta deliver much of the same services. Live dealer games released by Evolution Gaming do not just look good, they also have unique features. For example, Evolution Gaming boasts Immersive Roulette. This involves using Hollywood-style multiple cameras to get players closer to the action. Players can watch the ball spin in HD video and with a slow-motion replay of the results. Other games offered by Evolution Gaming have similar features and more. 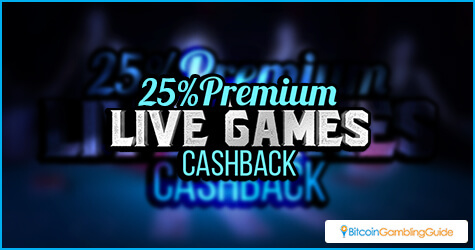 To celebrate the new addition, BitStarz Casino is offering a 25-percent cashback promotion for their introductory run. Players will be able to get back 25 percent of the money they lost, which should encourage players to place wagers. All players need to do is play the Evolution Gaming live dealer casino tables from between 00:01 and 23:59 CET during the promo period, which is from Nov. 17 to 20. If a player’s net losses equal or exceed €20 or 0.05 BTC, the Bitcoin casino will refund 25 percent of the losses. There is a limit of up to €50 or 0.1 BTC, though. Once confirmed, refunds will be credited to the player’s account within 24 hours. There are, however, additional conditions. Only real bets will be counted. If a player uses money from their bonuses, they will not count. Next, players can have only one refund per day. Fortunately, the cashback is free of wagering requirements, so players can withdraw them immediately. Evolution Gaming games are a treat to play and provide an excellent experience. This cashback promo is the ideal time to try them out. Players should drop by BitStarz over the next few days to enjoy some live dealer fun. 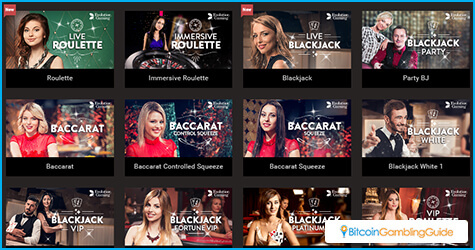 Moreover, bettors can check out the other BitStarz Casino bonuses available for all registered players.